Kaitlin Campbell and Rocky W take home the top prize in the $75,000 Evergreen Invitational Grand Prix presented by Northern Trust . Photo: Andrew Ryback/ChicagoEquestrian. 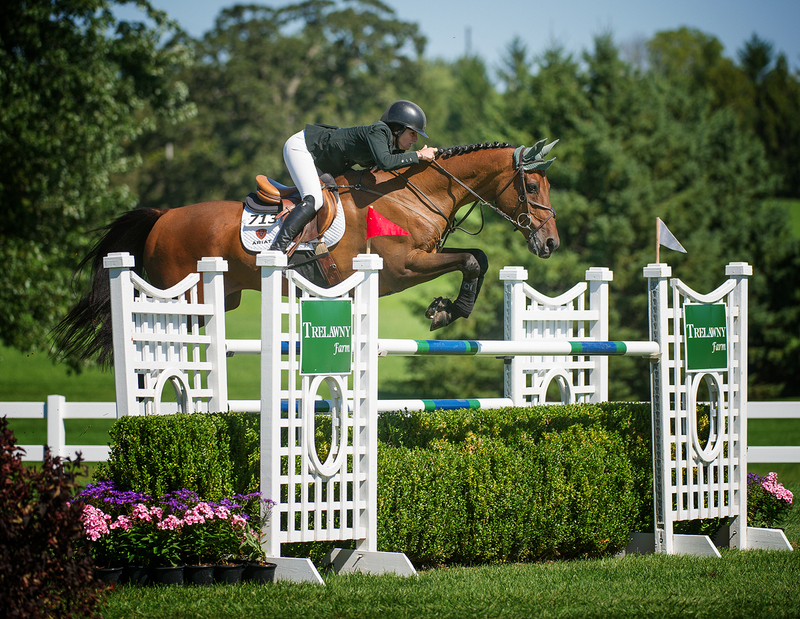 Bristol, WI – September 8, 2014 – Top show jumping riders from the Midwest mounted up in support of philanthropy for the 5th $75,000 Evergreen Invitational at MK Pritzker’s beautiful Evergreen Farm in Bristol, WI. The top ranking event is hosted in partnership with The Woman’s Board of Northwestern Memorial Hospital and has raised $4 million to date for historically underfunded programs and research for women’s health services throughout the Chicago area. 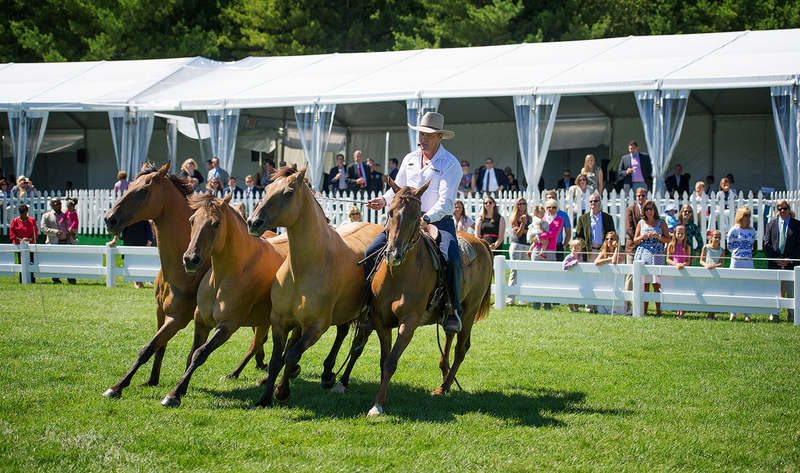 The special equestrian event raised a record $1.4 million this year making the overall total $5.4 million for women’s health programs at Northwestern Memorial Hospital in Chicago. 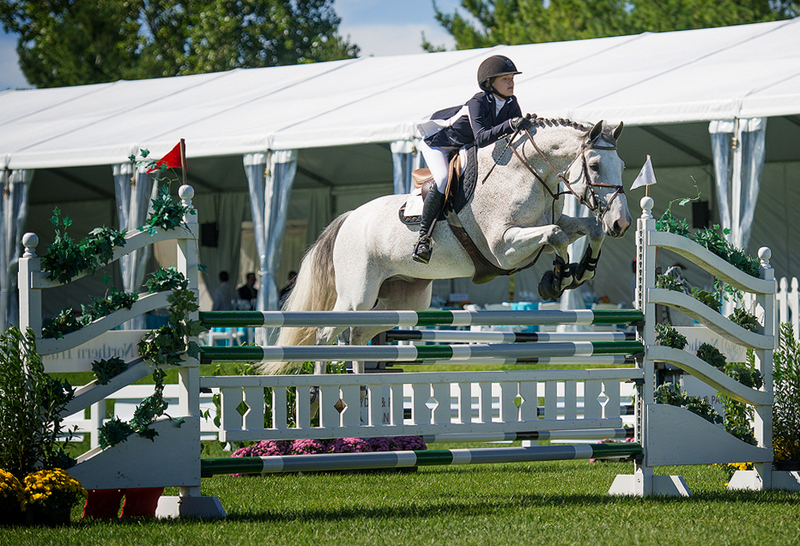 The show jumping kicked off with the $25,000 Show Jumping Hall of Fame Junior/Amateur Jumper Classic sponsored by H n’ D Stables. 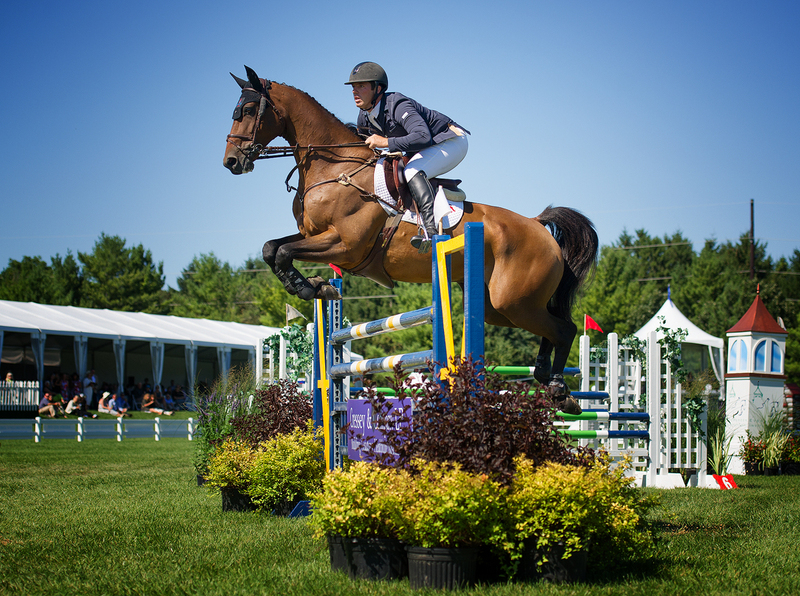 Twelve young riders tried their skill and luck on the beautifully designed Ken Krome course set in the grass Grand Prix field. Seven horse and rider combinations were able to maneuver the course without faults, moving on to the jump off phase. Left to battle it out for the fastest clear round was Laura Linback of Mundelein, IL, qualifying both of her mounts, Attention Please and Carmina, Paul Yanke and Chill Haze, Giavanni Rinaldi and GPS Brilliant Disguise, Kenzie Donovan and Boomerang, and Anna Helllene and Wocello. Giavanna Rinaldi, Chicago, and her big gray mount proved to be the fastest, earning her the top prize. Rinaldi was the youngest competitor in the ring at just 15-years-old. She is no stranger to the winner’s circle, since joining the Our Day Farm team and training with the Jayne Family, Rinaldi has moved up the ranks from the Children’s Jumpers to the Grand Prix ring at some of the biggest competitions in the country, including Wellington, FL. 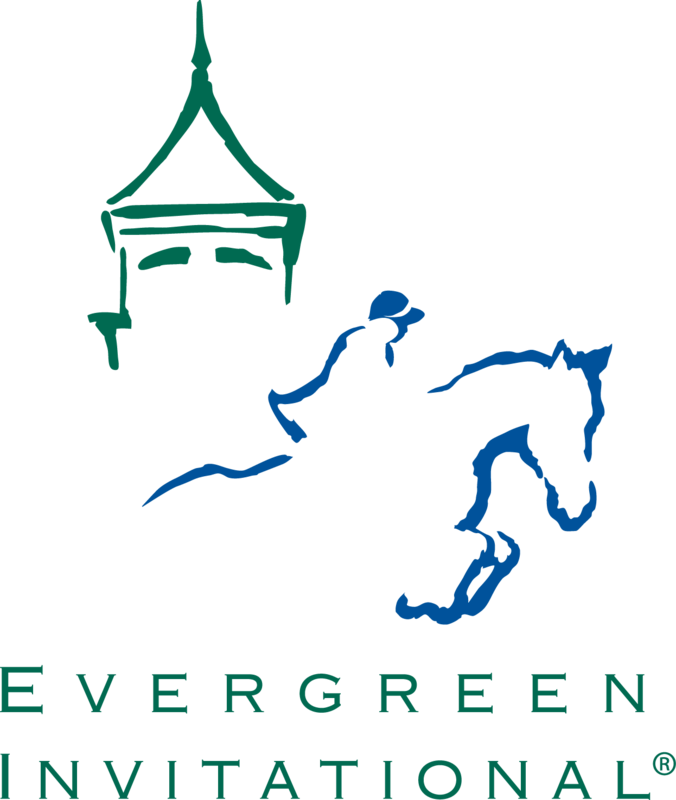 The feature event of the day was the $75,000 Evergreen Invitational Grand Prix presented by Northern Trust. A record setting 700 spectators sat on the edge of their seats watching the amazing horses jump around the hefty course. One by one the course took its toll, leaving four horses victorious to move on to the jump off. 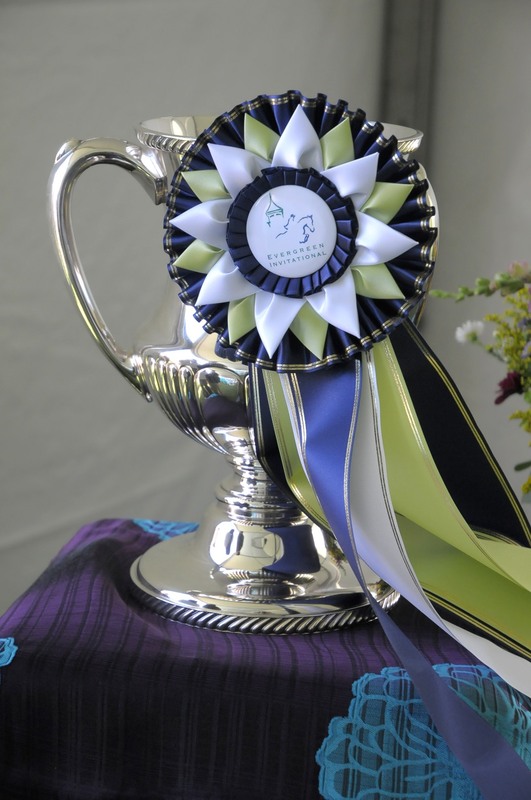 Once again, Laura Linback qualified both of her horses, HH Dauphin and Whittaker MVNZ, who was the winner of the Evergreen Invitational in 2012. Kaitlin Campbell of Georgetown, KY and Rocky W joined Linback in the jump off along with Alex Granato of Wellington, FL, and Mullaghdrin Rado. Rising to the occasion with the fastest clear round and earning a big check was Kaitlin Campbell and Rocky W. Rocky W, the 16-year-old, Holsteiner/Dutch, gelding has won two other Grand Prixs this season with Campbell. With Rocky W being an older horse, Campbell uses some strategy when planning his schedule. She tries to pick special classes and saves his jumps for competition. Campbell was second to go in the jump off following Linback’s clear jump off round on HH Dauphin. Campbell knew Linback’s second mount was a previous winner of the class and knew Linback would be fast. Campbell and Rocky W clocked around in 38.652 seconds. “I wanted to put the pressure on Linback for her second ride,” added Campbell. Linback unfortunately had 8 faults in the jump off on Whittaker MVNZ but had a quick time of 39.414. Going last and giving them a good run for their money, Alex Granato and Mullaghdrin Rado, owned by Page Tredennick, came close with a time of 39.833 and no faults for the second place ribbon. All the riders rave about the hospitality of the Evergreen Invitational. There is a complementary rider tent that provides breakfast, lunch and snacks throughout the day. On Friday night, exhibitors enjoyed an appreciation party with food and cocktails. On the day of the Grand Prix, riders are invited to walk through the Promenade of Shops before, during and after the show. Retailers included Graff Diamonds, Ralph Lauren, Mezlan Shoes, Lake Forest Sportscars and more. 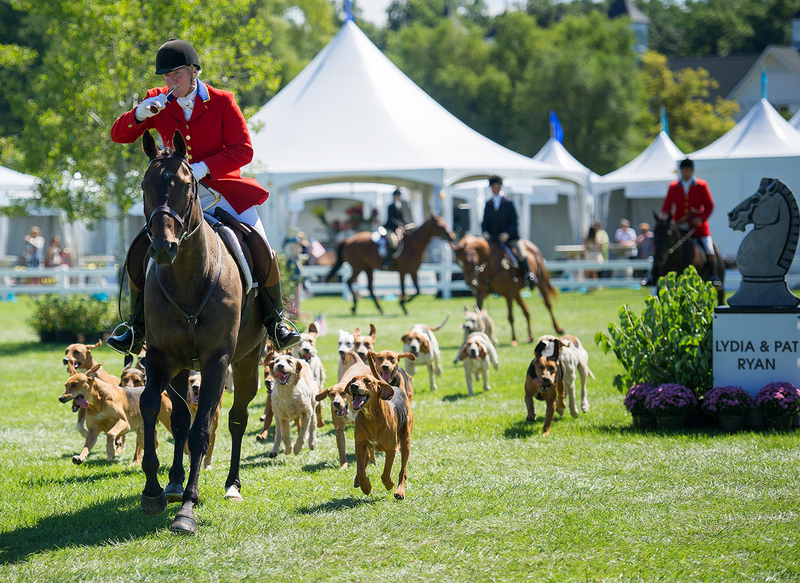 Also making an appearance and adding to the day's entertainment was the Millcreek Hunt who galloped across the field with hounds in tow and equestrian entertainer Guy McClean amazed the spectators with his horse training talent with bridleless horses performing patterns and tricks. VIP table patrons enjoyed delicious food and drink, shopping, entertainment and more while raising funds for a great cause. Although the winners of the Evergreen Invitational go home with a nice check, the big winner of the day is Northwestern Memorial Hospital, thanks to MK Pritzker’s outstanding effort. For more information or sponsor opportunities, please visit www.EvergreenInvitaional.org. Photos by Andrew Ryback Photography for Chicago Equestrian and may only be used in relation to this release. Please visit www.Andrewrybackphotograpy.com to purchase photos.